Camels are considered puzzling animals to scientists because they are capable of adapting to the most difficult conditions. In a recent research, scientists have discovered that camel milk prevents against and cures from diabetes. 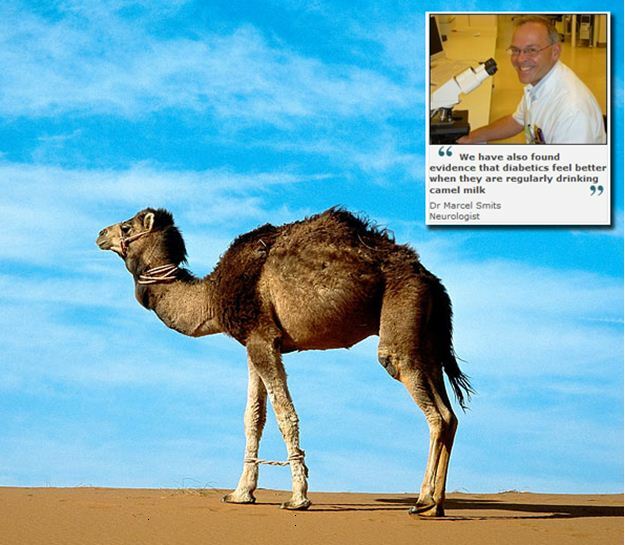 Dr. Marcel Smits says “we have found evidence that diabetics feel better when they are regularly drinking camel milk." Today, physicians, therefore recommend drinking camel milk because it's nutritious and delicious, a fact that has been confirmed by Prophet Mohammad, PBUH, when he talked about the significance of camel milk for healing and curing diseases.